Image by MSVG. Some Rights Reserved. Japan's Ministry of the Environment and the Ministry of Economy, Trade and Industry (METI) both requested on June 13, 2012, further cooperation with the widespread replacement of household lighting equipment. The request is aimed at promoting the replacement of conventional lighting equipment with more energy-conscious and highly-efficient equipment, such as compact fluorescent lamps and light emitting diode (LED) lighting, at the earliest possible time after fiscal 2012. This is because conventional lighting equipment consumes the second largest amount of electricity in homes, after refrigerators. 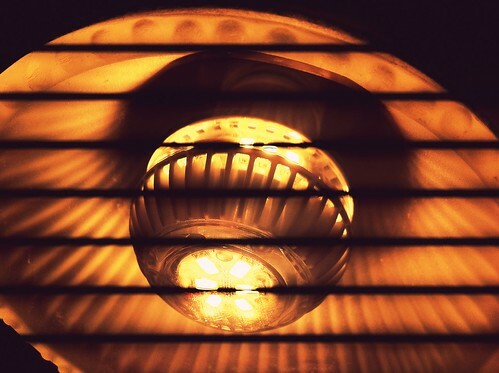 METI released a report titled "Energy-efficient Lamp Promotion Measures" in May 2008, in which the ministry set a goal, in principle, to see the replacement of household incandescent lamps with energy-saving products including compact fluorescent lamps in 2012. In this latest request, the ministries are expecting consumers to be receptive, and are asking for their further cooperation in replacing the E26 incandescent lightbulbs commonly used in homes with more energy-conscious and highly efficient lighting equipment, including compact fluorescent lamps and LEDs.